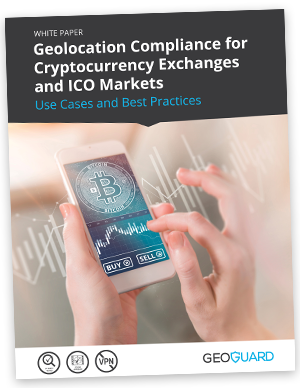 For cryptocurrency exchanges or companies engaged in ICOs, geolocation compliance is necessary for both KYC and AML. Download this whitepaper to learn how to stay onside with current and pending legislation and limit potential liability caused by geolocation fraud. The cryptocurrency and ICO markets are coming under increased scrutiny by governments worldwide as they look to extend their current securities regulations to this exploding sector. Geolocation compliance is an important part of any regulated market, so make sure you understand the landscape.